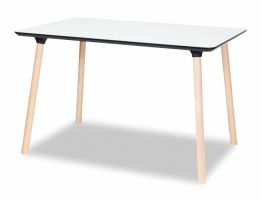 The Massa Table could be the table you are looking for... and why wouldn't it be at this amazing price? 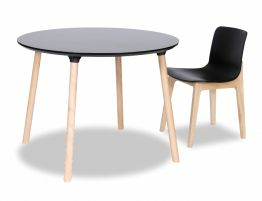 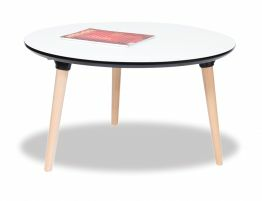 With a Scandinavian influence the Massa Table has a solid black melamine top that cups the top of the natural Beechwood legs. 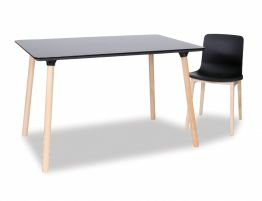 The contrast between these two materials is all part of the design with the diversity of the black top and light natural timber base. 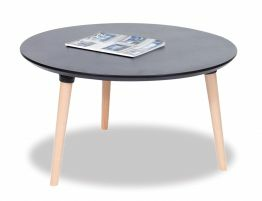 The legs are rounded softening the look of the timber element while the table top is bold, strong and durable. 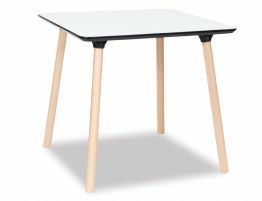 The 80 x 80cm size of this designing table is impeccable to suit any small space making the Massa Table an ideal choice to best suit your dining area. 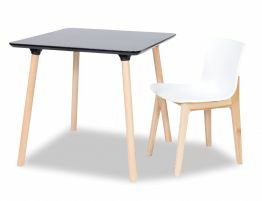 Pair with beautifully designed Scandinavian inspired dining chairs to complete this look.